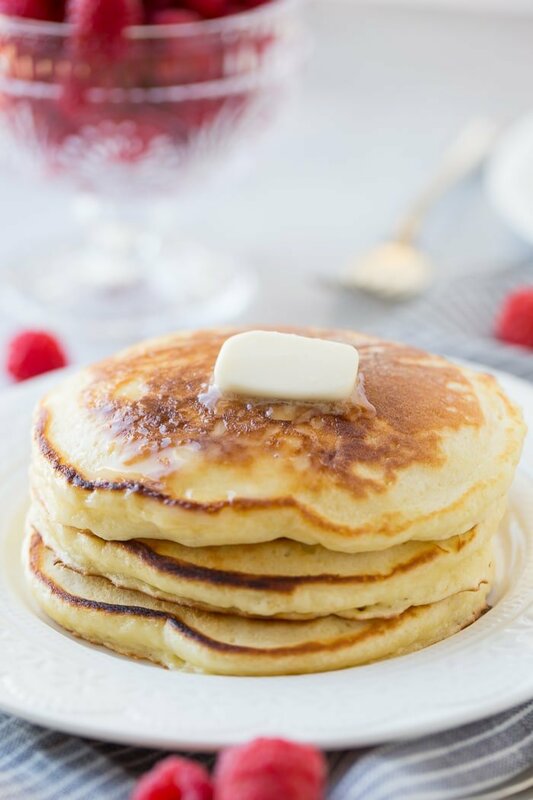 Sour cream pancakes do not taste like they have sour cream, but they are obviously more tender, fluffy and delicious, give these Melt in your Mouth Sour Cream Pancakes a try. Every Saturday morning is hot breakfast at our house (yes, we do cereal, yogurt etc all week long for the kids) and that generally means pancakes or crepes. It’s a great time for our family to just breath and be together. 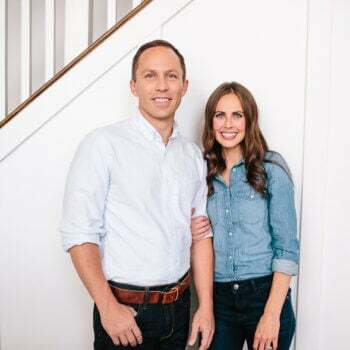 It’s amazing how much busier we get with each year and we really need that time to regroup, talk about important things or silly things and just enjoy a quiet morning. 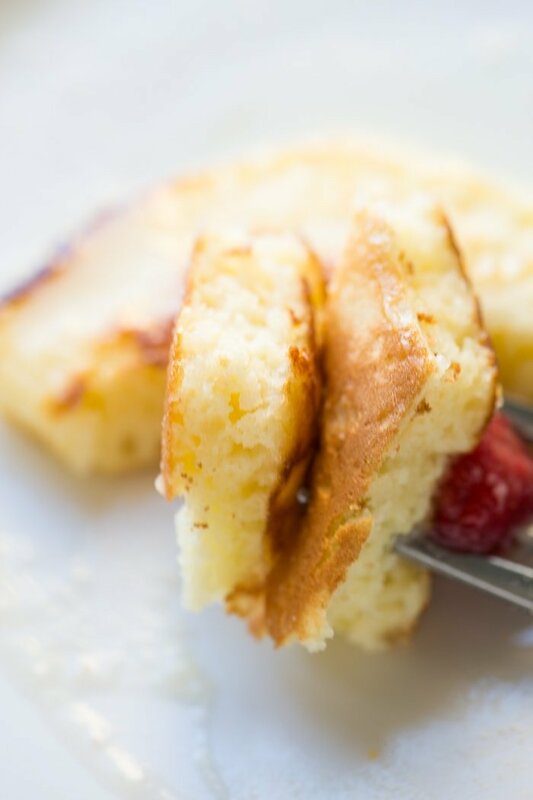 Melt in your mouth sour cream pancakes have become a favorite breakfast recipe! These melt in your mouth sour cream pancakes have never disappointed, but I will say this, follow the instructions to a T. There’s a reason we list a specific salt to use, and to mix dry and wet separate. I’ll save you the hassle of messing these up, just stick to the recipe. 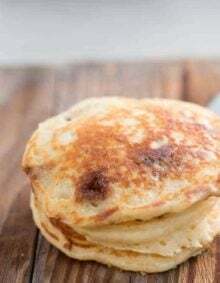 While I know it will be hard to convince you to try something other than our VIRAL recipe for Melt in Your Mouth Buttermilk Pancakes, this melt in your mouth sour cream pancakes really is a must. 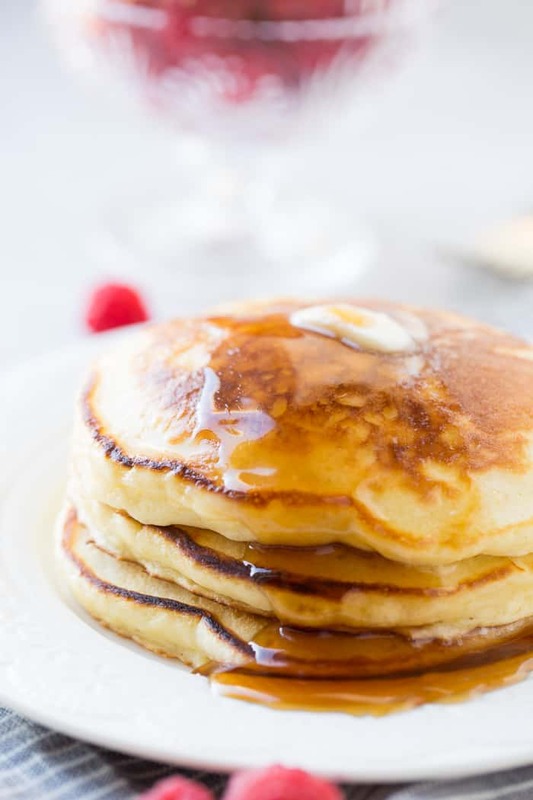 But before you read on, make sure you check out that buttermilk pancakes post so you can read all of our tips about making perfect pancakes. We first learned about sour cream pancakes from Ina Garten, and listen, you don’t improve Ina recipes. They are just flat out perfection every time, except this time. One little change that we first discovered in our original pancakes recipe makes a huge difference. Just drizzle a little butter in as you’re doing your final mix of the batter. The best sour cream pancakes ever and it’s served with our favorite buttermilk syrup. We are homemade pancake people. Not really into mixes. In fact, my husband is picky about pancakes. It’s my fault. When we got married he was a VERY strict eater. Healthy foods only and no sweets at all. One day I made him chocolate chip pancakes and he slowly came to my side. Now he is picky about pancakes. They have to be fluffy, not overly though, and they have to have chocolate chips. That being said, both Cade and I have decided these melt in your mouth sour cream pancakes are one of our favorites. 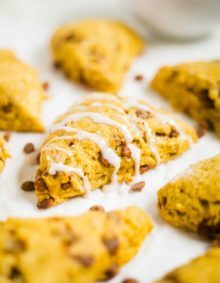 Before we turn you over to the recipe, there’s a little lemon zest in this recipe and though you can easily skip it without it hurting the recipe at all, it really does add a little something. Our kids were a little worried the first time they added it, but it truly is a wonderful addition that no one would ever guess. It makes the pancakes lighter and more fresh tasting than a heavy, old fashioned pancake. Sift together the flour, sugar, baking powder, and salt. Whisk together the sour cream, milk, eggs, vanilla, and lemon zest. Melt 1 tablespoon of butter in a large skillet over medium-low heat until it bubbles. Ladle the pancake batter into the pan. Place banana slices on top and cook until bubbles appear and begin to pop. Flip the pancakes and then cook for another minute until browned. Bring the butter, sugar, karo syrup, vanilla and buttermilk to a boil. Add baking soda and boil 10 seconds then remove from heat to avoid boil over. This stuff goes crazy so make sure you are paying attention!!! Serve over those sweet, delicious pancakes or whatev'! This is one of those recipes that I grew up with and I don’t know why, but it took me years to remember it and bring it back with my family. 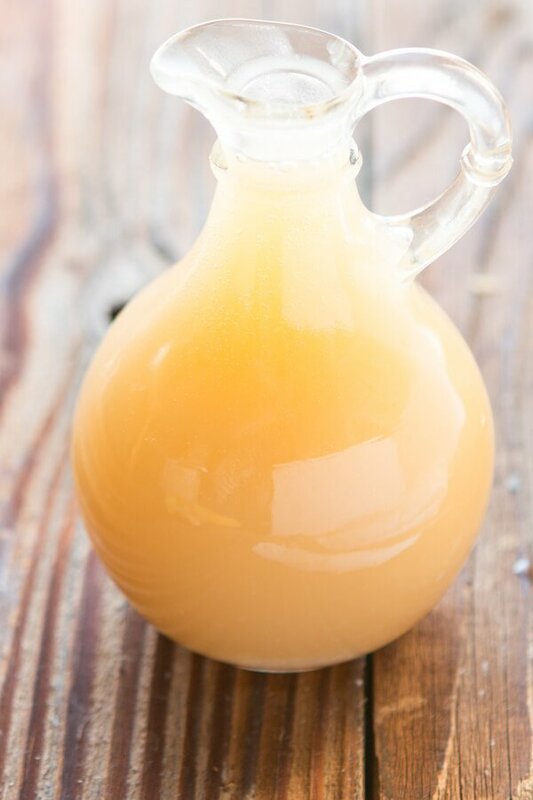 It’s absolutely the best syrup around and trust me, you have to try it yourself to understand. Here’s another easy homemade pancake recipe you should try! Our family is partial to pancakes and syrup. 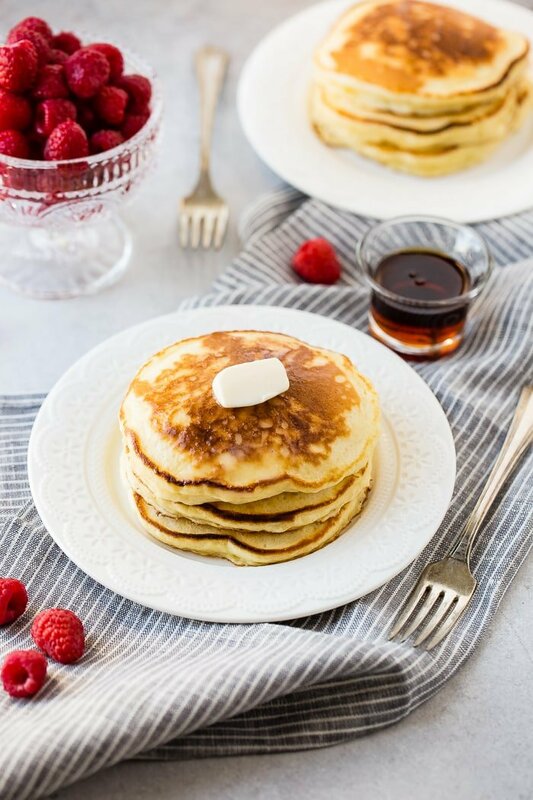 We turn our buttermilk syrup into coconut syrup by substituting the corn syrup with a tsp of coconut flavoring…yum over warm pancakes, strawberries, and bananas…or huckleberries. I bought a 16 qt stockpot just to handle the quadrupled batch for the reunion-no more over flows. Love that! We do something similar and yes for big pots! Those overflows are so annoying! Question? When you say use one cube of butter in the syrup, do you mean 1 stick (1/2 cup) or 2 tablespoons (which is a cube)? oh, let me correct that! It’s 1 stick, so 1/2 cup. Thanks for catching that! We just store ours in this little syrup jar we have. I have kept it for about 2 weeks, but I think the flavor had faded slightly. We have had people over each time I have made it so I haven’t ever had to store very much. 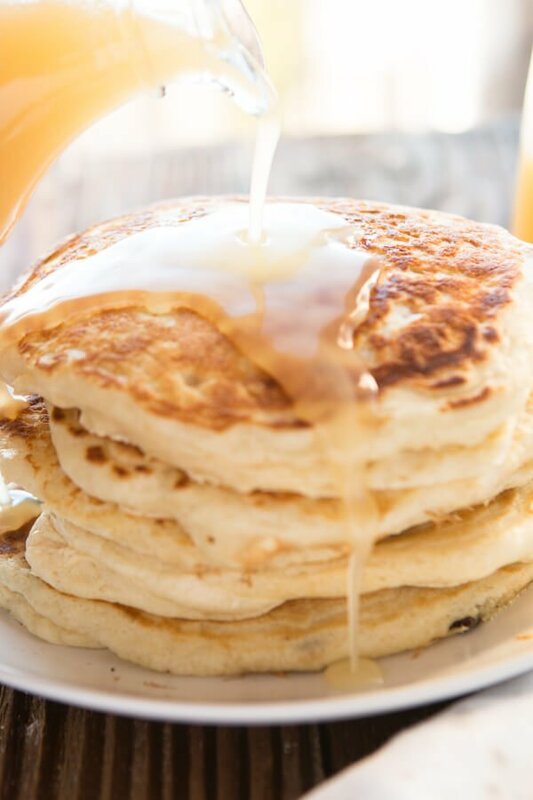 The buttermilk syrup is amazing over banana pancakes! How do you store the extra syrup and for how long? The pancakes look great! I am so glad you liked them. I am really interested in the buttermilk syrup- I think I would love it! Oh these sound so good. I wish I had some pancakes right now! 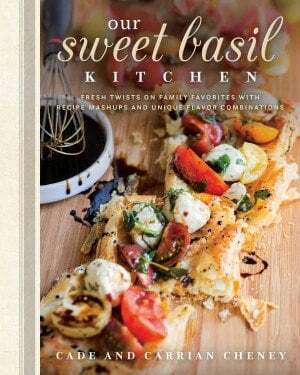 These look great, I think I saw them on the Barefoot Contessa’s tv show. 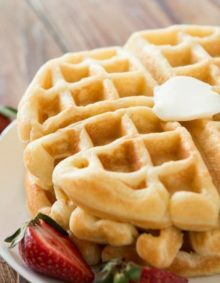 The buttermilk syrup sounds really interesting – I always end up with leftover buttermilk when I bake, now I know what to do with it! you should make those and just throw some bananas and chocolate chips into the batter – yum!